Dealmoon Exclusive! Receive a complimentary Eye Cream ($30 value) with any $25 Purchase. via coupon code EYES . Plus，Get a free shower foam with any $60 order. 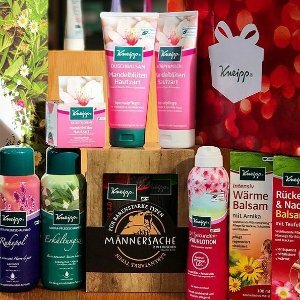 Kneipp Almond Blossom Light-Weight Body Lotion - "Soft Skin"
Kneipp Mint & Eucalyptus Body Wash - "Refreshing"